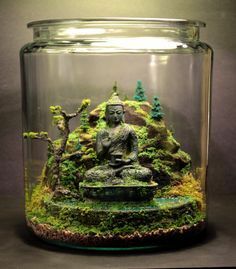 Here at Terrarium Plants and Terrarium Supplies, you’ll learn everything you ever wanted to know about the construction of terrariums both large and small, and hopefully find some great inspiration as well. Whether you’re looking to learn more about what plants thrive best in the terrarium environment, buy supplies for building your own terrarium or just get some inspiration from our collection of beautiful DIY terrarium ideas & instructions, you’ve come to the right place! Terrariums are becoming one of the most popular ways to bring plants into your home, and there’s a whole bunch of great reasons why! 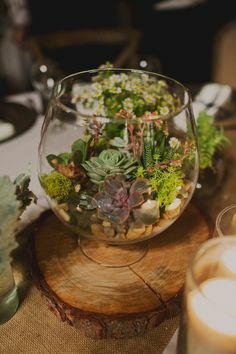 Terrariums are fun to create, they can be as beautiful as you can imagine, and once you’ve had the fun of building them, they don’t usually require a lot of maintenance work to keep them looking beautiful. 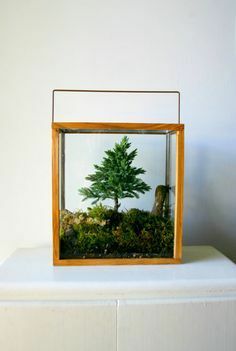 Sometimes known as a vivariums, terrariums are basically miniature gardens, enclosed in some kind of container – it could be a small glass jar or a giant aquarium, it’s up to you. They’re closed ecosystems, and depend on how you build them, they can go for months or even years without needing any additional work! What other garden could be so beautiful and unique? Discover the Most Beautiful and Unique Terrarium Plants Available For Your Next DIY Terrarium Project! 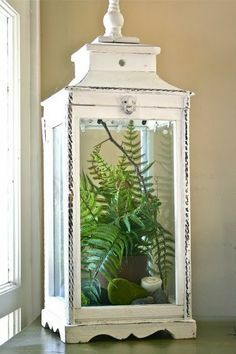 You can grow almost any type of plant in a terrarium, but some plants thrive much better than others in a closed environment. We’ll take you through a huge number of different plants that grow very well in terraria, from common types of mosses you can pick up the next time you go for a walk all the way to exotic carnivorous plants like the Venus Fly Trap! Certain types of plants are better adjusted for the types of environments that are created in terrariums. 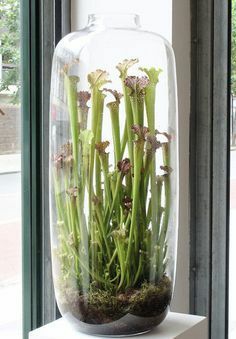 Usually, these are smaller varieties of plants that tolerate a great deal of humidity and moisture, as well as low-light to partial shade conditions, but it’s possible to make a terrarium that replicates any kind of environment that is naturally found on the planet, from deserts to rainforests – but unless you have a greenhouse, don’t plant any kapok trees! Terrariums are the perfect project for people who like gardening but don’t have outdoor space to work with – and even for those who DO have outdoor space but want to create some beautiful indoor miniature gardens! 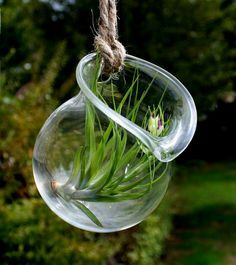 Even though terrariums have been enjoying a bit of a renaissance lately thanks to design blogs hungry for new interior design content, they have actually been around for a long, long time – there are documents referencing growing plants inside special containers as long ago as 500 BCE. 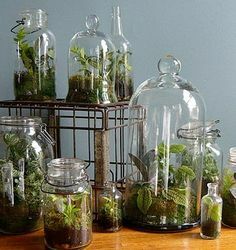 In what one might call the modern era, however, terrariums were accidentally “rediscovered” by a British doctor by the name of Nathaniel Ward, who was based in London around the year 1827. While attempted to discover the processes behind the pupation and development of caterpillars, moths and butterflies, he included some plants in a specimen jar he was using to observe a chrysalis. 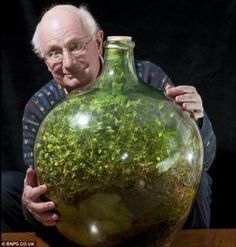 To his great surprise, some of the plants he included in his specimen jars lived far longer than conventional science at the time suggested would be possible. Some of the stories of this development say he was experimenting on the damage to plants caused by London’s horrible smogs, the results were the same – he had accidentally hit on the principle that drives all modern terrariums! In his honour, terrariums were known as ‘Wardian Cases’ for a very long time following his discovery. 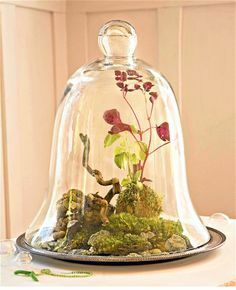 In fact, a certain style of terrarium is still known as a ‘Wardian case’ – usually one inspired by a Victorian-era design aesthetic we might now label as a predecessor to ‘Art Nouveau’. If you’re interested in the exquisite style of Wardian cases, check out our upcoming tutorial on how to create your very own Wardian case – the perfect accompaniment to any self-respecting steampunk’s boudoir or wardrobe. 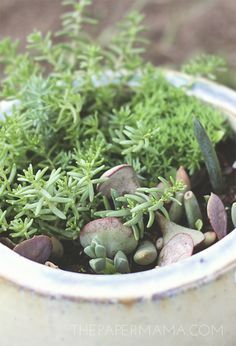 If that doesn’t suit your fancy, there’s a ton of other great information about terrarium plants and other supplies that you’ll need to make your project a gorgeous success that everyone will marvel over – no matter what style you end up choosing! DIY Terrarium Ideas & Inspiration! Got comments? Questions? Advertising? Guest posts? Feel like getting in touch for any reason? Drop me a line at theterrariumman@gmail.com. An affordable Wordpress website by primeresponsivewebsites.com.